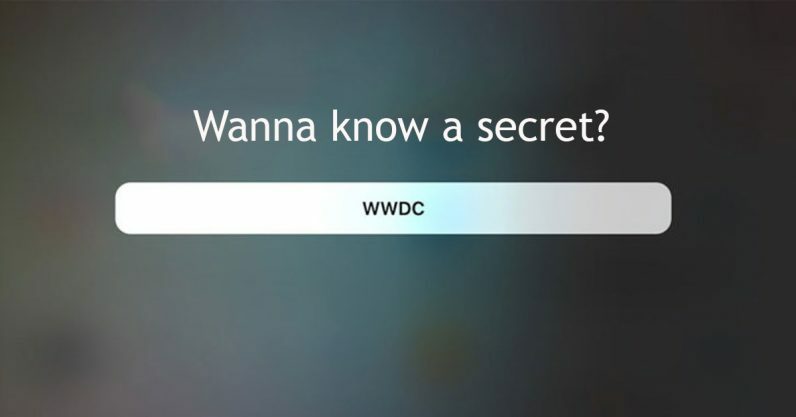 Apple’s Siri today began leaking information about the upcoming WWDC event. According to the virtual assistant, it’s getting a brand new voice and another smart speaker. If you’ve got an iPad or iPhone you can ask it yourself. UPDATE (22 May 12:00 PM CST): Siri’s responses may not be related to WWDC 2018. A report from 9to5Mac indicates the virtual assistant is referring to events that happened during last year’s WWDC event. We’ve reached out to Apple for further clarification. As we’re unable to find any reports or screenshots indicating Siri had these responses prior to WWDC 2017 we’re not sure the current responses are not related to WWDC 2018 — but until Apple releases official clarification we’re declaring this a rumor. La la la, Siri is getting a brand new voice. Furthermore, as was initially discovered by The Apple Post, the virtual assistant is also pushing news that it’ll have a new “home” soon, which will also be announced at WWDC. Between the lines: It’s pretty well-known that Siri is little more than an afterthought in the virtual assistant market – being limited to the iPhone and iPad have it pretty far behind Google Assistant and Alexa. But a little catch-up isn’t a bad thing. Siri follows Google Assistant and Alexa, both of which recently announced they’d be getting new voices. And – if we can start our own rumor – maybe the “la la la” portion of Siri’s response indicates it too will have a famous singer voicing it like John Legend will for Google Assistant. As far as the new “home goes,” according to 9to5Mac there’s some sketchy reports that Apple is set to unveil a $199.99 Beats-branded HomePod. Take that with a few grains of salt though, as this one comes from a friend of a distributor who knows somebody who thinks it’s true (or something like that). Either way, more voices for virtual assisants is a good thing. And everybody loves every product Apple makes, so we’re certain we’ll be drooling over whatever (if any) new smart speakers the company announces at WWDC. Stay tuned for all of our WWDC coverage starting June 4.